First fittings are ready for a number of our gentlemen customers who have chosen to don a morning suit at their upcoming weddings this summer. 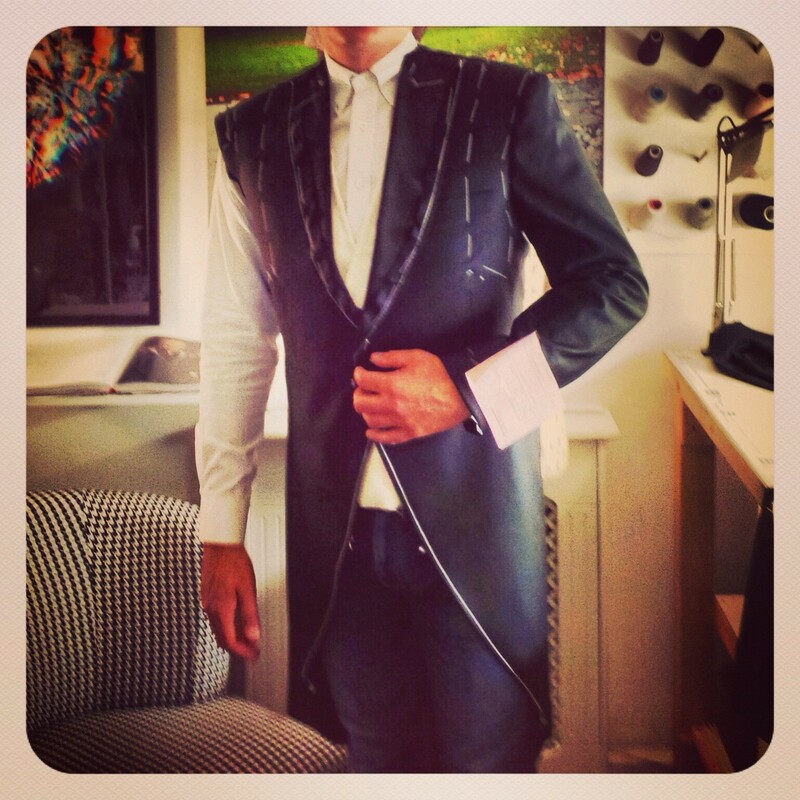 Henry Herbert Tailors are privileged to be their wedding tailor of choice. You can just see the elegant cream waistcoat, also a bespoke piece, that this gentleman has chosen, beneath the morning suit coat. Saturday appointments: Henry Herbert tailors are available Monday to Saturday 8am-8pm, and can scooter to you wherever and whenever is convenient, or you can visit us at either our Savile Row (Mon-Fri only) or Gray’s Inn Road premises. Book an appointment here. Morning Suits for Weddings: Saturday Appointments - Bespoke Suits By Savile Row Tailors. Many of our gentlemen customers choose to don a bespoke morning suit at upcoming weddings. Henry Herbert are privileged to be their wedding tailor of choice.